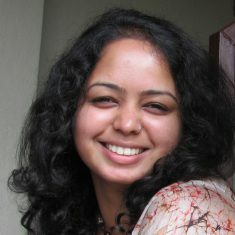 Deepa Bhasthi is a writer based in Bengaluru, India. She is currently interested in critical inquiries at the intersection of languages, land versus landscape and food. Her essays, journalism and other writings have been published in Lithub, Guardian, Calvert Journal, Hyperallergic, Art Review, The Hindu and elsewhere.